Are you an Employee/Family or Affiliate Vendor in Windsor, or anywhere else in South Western Ontario? 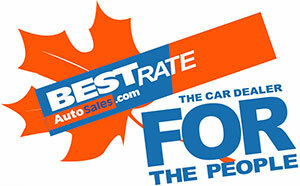 To show our appreciation for your continued efforts, Best Rate Auto Sales allows for an employee/family discount! As an employee/family member, you have the opportunity to receive the best price discount and bonus plan on an eligible used vehicle. Great news! The Best Rate Auto Sales Employee and Affiliate Used Vehicle Purchase Program has been updated! Now, not only do you get to take advantage of this great pricing and real discounts - so does your family! As a friend/family customer you will also receive a membership to our Referral / Payment Vacation Program. We make your payment for you, or give you a referral fee. Now offering our Vehicle Locating Service. If the vehicle you desire is not-in-stock, we also locate low mileage, pre-owned vehicles from car dealers and a network of local sources. If we don't have exactly what you are looking for we will find it! Tens of thousands of late model vehicles to choose from. The best part is you buy the most perfect possible car for you, and like a dealer save 1000's off retail. Best Rate Auto Sales is located in Windsor, Ontario and also serves Tecumseh, Belle River, Leamington, Tilbury, Chatham, Lakeshore, La Salle, Essex, Kingsville and throughout Southwestern Ontario.